As a trustworthy iPhone app development company SocialEngineMarket stands for innovation and top quality, drawing on successful long-term experiences. We develop robust applications for popular devices, such as iPad, Apple Watch and iPhone, that are flawlessly approved for download from App Store. Taking into account special aspects of your undertaking and your end-users interests, we create secure and user-friendly iOS apps that you can be proud of. Among our projects, there are internal apps for companies, multi-user systems for branded communities, e-commerce mobile applications and hundreds of other successfully running products. We have no limits to provide exclusive iOS solutions! Our company provides first-class iOS development services worldwide. Using the most recent technologies and innovative UI/UX principles, we are able to deliver seamlessly performing and visually appealing apps regardless of national design preferences, business size or industry. Apple is well-known for its exquisite design and smart functionality. 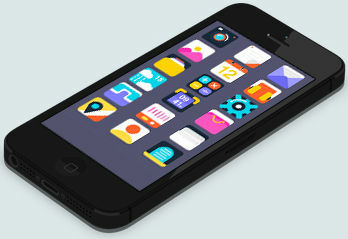 We pieced the best designers and developers together in order to give life to your ideas through mobile app creation. These iOS experts have a proven professional background accomplishing various web tasks and can satisfy the requirements of any customer. We are specialized in social networking development. So, if you manage one, you can freely entrust us with the creation of mobile app for its members who utilize iOS. We produce highly-personalized designs that perfectly match your brand identity. Our creative designers follow the hottest digital world trends and weave them with masterly skill into your project. Mobile app dedicated to an organization is a great corporate tool for entrepreneurs. With its help they can engage employees wherever they are, share company news and initiate other necessary internal actions. If your mobile app is not showing the expected results, this may be due to the poor usability. We can customize your existing apps and improve their user-experience applying the best UI/UX practices. To help you cover as many audiences all over the world as possible and let your loyal customers advanced access to the product with any device, we offer effective eCommerce programming services on iOS platforms. If you want to evolve your business online presence in the direction of mobile development, we will help you apart from the industry you work in. We've build numerous outstanding Apple-based applications for educational, financial, recreational, and lots of other purposes globally. Gain the maximum benefit from your iPhone! A high percentage of mobile users prefer iOS-based devices. We know how to tailor an app that would let you drive benefits from all the spectacular features offered by this system. 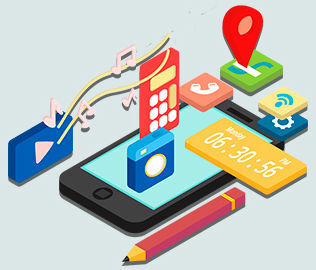 We are reliable providers of mobile development solutions with years of relevant experience. Dealing with our firm you can avail of exceptional web services not just during the working process, but also way beyond the project deadlines. We offer convenient workflow and prompt ongoing support, that can definitely blow you away!